Expedia has Everglades City travel packages ready and waiting. Bundling your airfares and accommodations is one of the simplest ways to save money on your adventure. Receive savings of as much as C$590* when you book your package deal on Expedia. With more than 400 airline partners and 321,000 worldwide properties, our comprehensive database can get you to your ideal vacation spot. Not sure about your booking? There is no cancellation fee from us when you change almost any reservation. There are stacks of wonderful things you can do when you visit a new place. 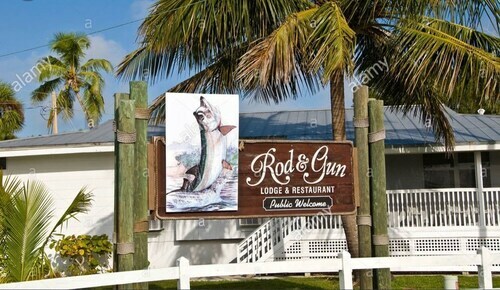 So why not get your trip to Everglades City off to a great start by checking out some of our ideas? After all – out there starts here! History has many lessons to teach. Drink in the knowledge and gain an insight into times past at Museum of the Everglades. There's a fabulous range of things to do in this destination. Oh to be a fly on these walls! Imagine the major deals and enthusiastic arguments that have occurred at Everglades City Hall. Check for tours for an up-close-and-personal look at this historically significant building. Still got time to spare? Need a bit of help figuring out where to go and what to do? You'll locate all the advice and information you're after at Gulf Coast Visitor Center. Vacationing is always so much more than just seeing new places. It's all about the things you can do while you're away! There are plenty of terrific things to do in Everglades City. Why not try out a Chokoloskee Inshore Fishing Trip or an Everglades Mangrove Kayak Eco Tour? For a comprehensive guide to activities, take a look at our Everglades City things to do page. 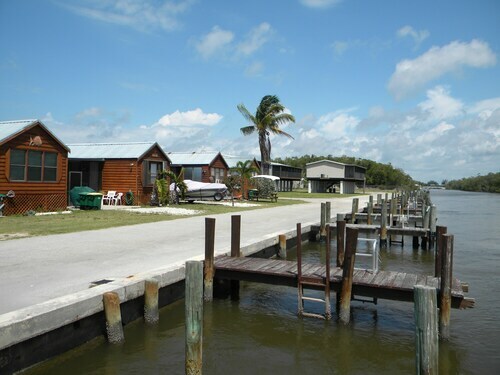 There are only 5 Expedia properties in Everglades City. Book now to ensure that you find a room for your next cheap vacation or luxury getaway. If you're into fitness centers and valet parking as well as fluffy bathrobes, why not inquire about the amenities at the Everglades Chickee Cottages - Ochopee (40904 Tamiami Trail US 41) and the Glades Haven Cozy Cabins (801 South Copeland Ave)? If your planning on arriving by plane, you'll most likely be hitting the tarmac at Southwest Florida International Airport (RSW). Once you've collected your baggage from the carousel and wandered outside, the heart of Everglades City will be waiting 55 miles (89 km) away. 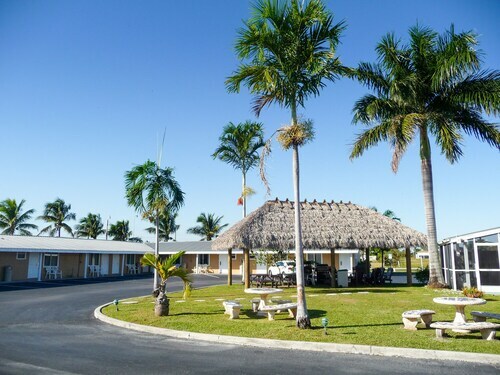 Situated in Everglades City, this motel is within a 10-minute walk of Everglades City Hall and Museum of the Everglades. Gulf Coast Visitor Center is 1.1 mi (1.8 km) away. Located in the heart of Everglades City, this hotel is within a 15-minute walk of Everglades City Hall and Museum of the Everglades. Gulf Coast Visitor Center is 1.4 mi (2.3 km) away. 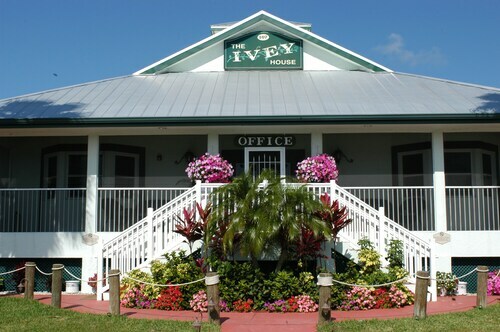 Situated in Everglades City, this hotel is within a 10-minute walk of Museum of the Everglades and Everglades City Hall. Gulf Coast Visitor Center and Everglades Area Chamber of Commerce are also within 6 mi (10 km). Situated on the waterfront, this villa is within a 10-minute walk of Everglades City Hall and Museum of the Everglades. Gulf Coast Visitor Center is 0.9 mi (1.5 km) away. Situated by the ocean, this vacation home is within 1 mi (2 km) of Gulf Coast Visitor Center, Everglades City Hall, and Museum of the Everglades. Everglades Area Chamber of Commerce is 4.9 mi (7.9 km) away. Situated on the waterfront, this cabin is within 1 mi (2 km) of Gulf Coast Visitor Center, Everglades City Hall, and Museum of the Everglades. Everglades Area Chamber of Commerce is 4.9 mi (7.9 km) away. Situated in Everglades City, this property is steps from Everglades City Hall and Museum of the Everglades. Gulf Coast Visitor Center is 0.8 mi (1.3 km) away. 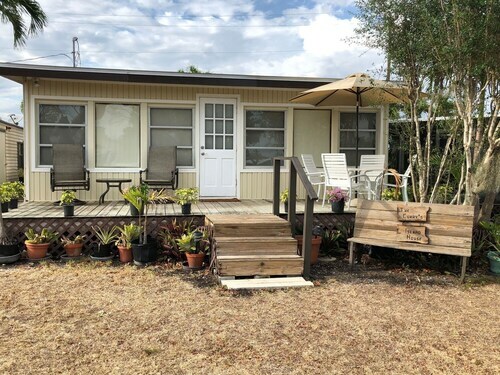 Situated in Everglades City, this property is within 6 mi (10 km) of Gulf Coast Visitor Center, Everglades City Hall, and Museum of the Everglades. Everglades Area Chamber of Commerce is 8.3 mi (13.3 km) away. Mon., 3 Feb. - Wed., 5 Feb. Mon., 3 Jun. - Wed., 12 Jun.